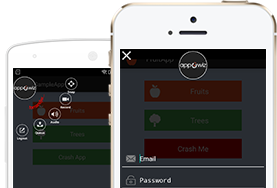 appOwiz allows you to find UDID of your iPhone or iPad by a single tap without iTunes. It allows iOS developers to be available to install the early versions of mobile apps onto your device to debug and test the apps. A UDID is a 40 character serial number used for identifying a particular iOs device such as iPhone, iPad and iPod touches. The string includes letters and numbers may look absolutely random to the people, but each iOs device has a different UDID. UDID is used for connecting different types of data to the device. It allows the developer or users to install and test the apps prior to their public release. It also allows the users to install beta releases of iOs for testing. Get UDID is a fast, easy and secure service to help you get UDID without the need for desktop with iTunes installed. *Note – We do not store any of your private information or data on our servers.